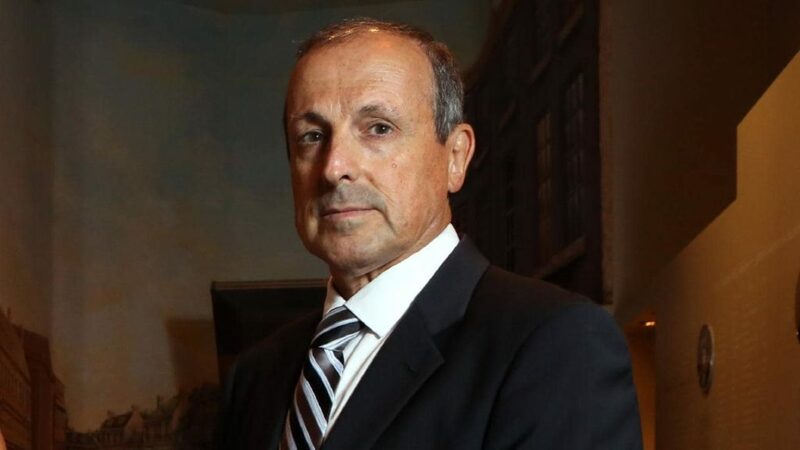 Greek City Times caught up with Vic Alhadeff, the CEO of the NSW Jewish Board of Deputies in Australia, to talk about his Greek heritage, his work on human rights issues and about an act of extraordinary courage on the island of Zakynthos that saved its entire Jewish community from the Nazi terror machine during WWII. 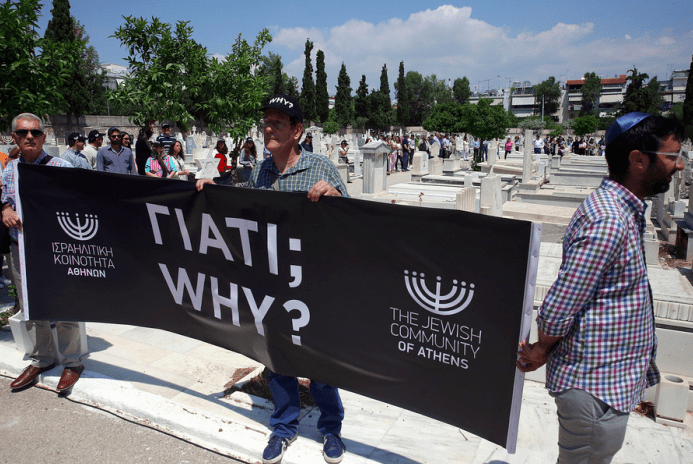 In May this year, a human chain was formed in the Jewish Cemetery in Athens to shield it in silent protest against the vandalization and desecration of graves. The human chain was comprised of members of the Jewish community of Athens, the vice mayor of the city, other Greek citizens and prominent community members. Increasingly around the world, we are noticing a politically fragile landscape littered with extreme and disruptive voices that do little for social cohesion. Building bridges between communities and fighting racism in all its forms has been a lifelong endeavour for Vic Alhadeff, CEO of the NSW Jewish Board of Deputies in Australia. An outspoken champion of human rights issues, Alhadeff notably led the Keep NSW Safe campaign with the support of Greek and other community leaders which lobbied the State Government to legislate against incitement to violence on the basis of race, religion, and gender. During the campaign, the Federal Attorney General at the time George Brandis said that people “have the right to be bigots”. “That was a problematic comment” reflects Alhadeff, noting that political leaders should set an inspirational tone that strengthens social cohesion not disrupt it. The legislation was passed. A victory for the community at large. 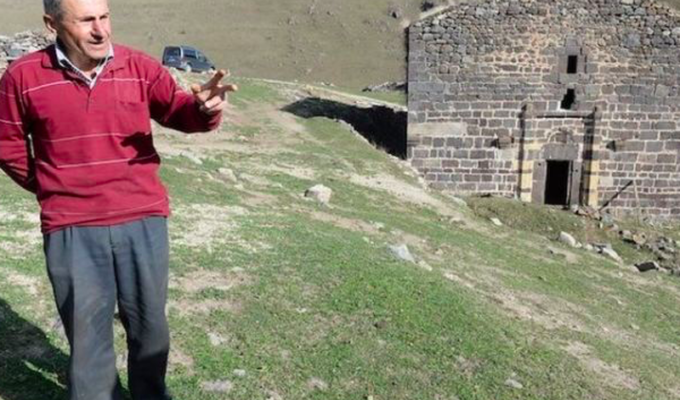 Alhadeff’s passion to defend and fight for human rights no doubt was also informed by his own family history. His parents were born on the Greek island of Rhodes but were forced to flee after the Nazi occupation of Greece and settled in Zimbabwe where he was born. But his grandparents never made it out. They were murdered by the Germans, along with more than 2,000 Greek Jews on the island that were sent to concentration camps. “My family had been in Rhodes for 500 years! They were part of the Jewish diaspora that was expelled from Spain and made Greece their home,” he proudly says. 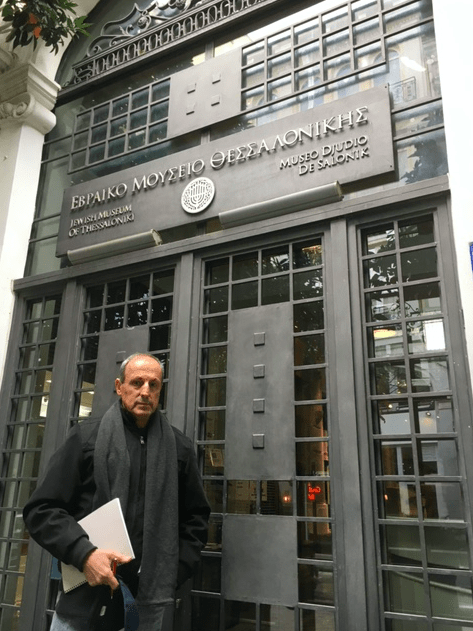 Vic Alhadeff is proud of his Hellenic connection and has visited Greece several times, noting he ‘connects’ with the country and its people. He also made the pilgrimage back to his father’s island of Rhodes last year as part of a poignant reunion of 97 family members. 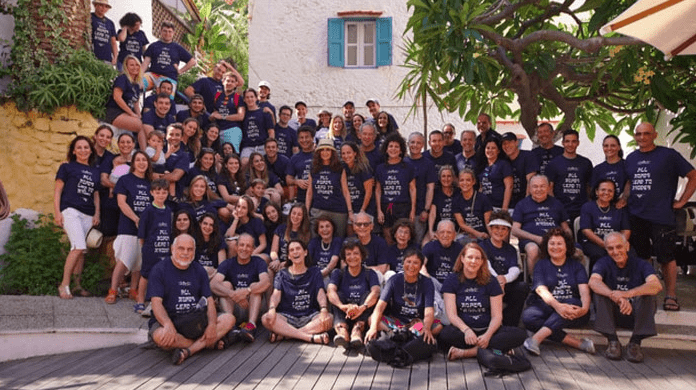 Members of his family from all over the world, the USA, Europe, Australia, and Africa descended on this Mediterranean jewel in the summer of 2017, on the same date, July 21, where their ancestors and compatriots in 1944 were taken by the German troops to the Auschwitz extermination camp. Alhadeff and his relatives joined the mayor of Rhodes, members of the Greek and Jewish communities, the Israeli Ambassador and other senior civil and religious officials in a special ceremony in remembrance of their Jewish compatriots who were ripped away from their beloved homes and island. 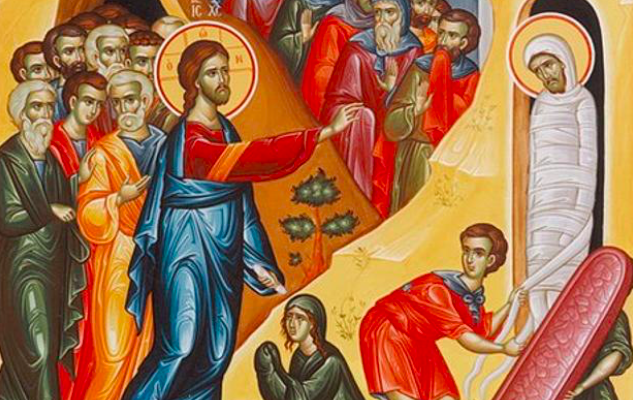 Greece once had a thriving Jewish community that had been around since antiquity. Thessaloniki once had a 50,000 plus strong Jewish community and Rhodes perhaps close to 5,000 but World War II and the rise of anti-Semitism changed all that. Today Greece’s Jewish community is numbered at about 6,000 members. But not all was tragic. 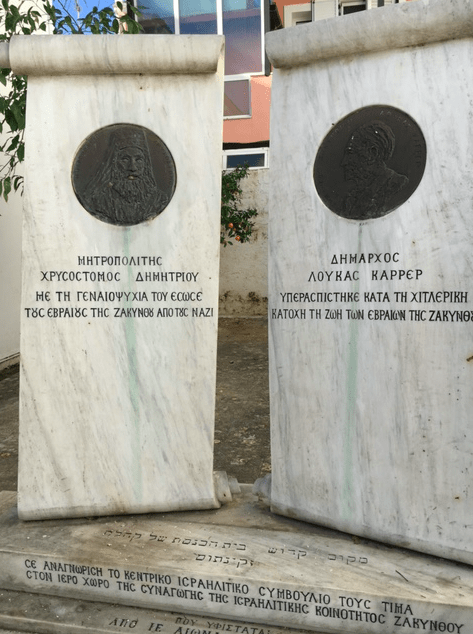 Alhadeff reminds us that on the other side of Greece, on the Ionian island of Zakynthos, took place an act of courage that saved the island’s entire Jewish population from extermination. During the Nazi Occupation of Greece, 11 percent of its population had been killed by either bullet or famine, more than 2,000 villages destroyed along with 90% of its ports, roads, railways, and bridges. At the time, the Greek Orthodox Archbishop of Greece Damaskinos called on Greeks to hide their Jewish compatriots and instructed priests to issue them false baptismal certificates to protect them from Nazi persecution. On Zakynthos, a small miracle of its own was taking place. On September 9, 1943, the German SS Commander on the island ordered Greek Orthodox Bishop Chrysostomos and the mayor, Loukas Karrer, to provide him a list with the names of all their Jewish compatriots or face death. The next day, September 10, 1943, Bishop Chrysostomos and the mayor Loukas Karrer turned up to the office of the SS Commander and gave him a piece of paper with two names on it: their own. This act of courage saved the lives of all 275 of their Jewish compatriots. “It’s what happens when good people take a stand against evil,” says Alhadeff who visited the island to meet with its people. Israel never forgot their act of humanity and through its Holocaust Museum, Yad Vashem, honoured both men with the title of Righteous Amongst Nations. 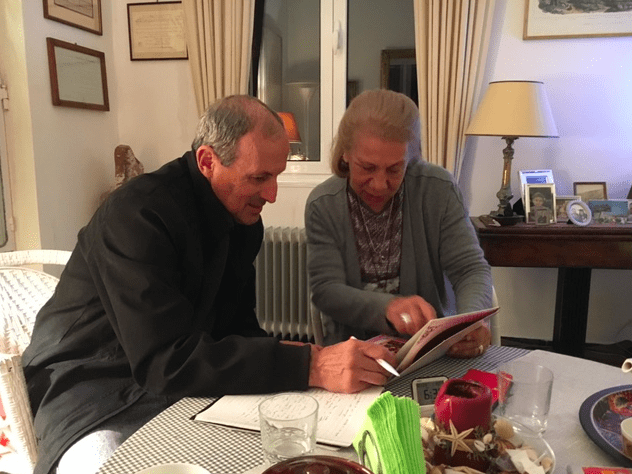 Vic Alhadeff personally met with the daughter of mayor Loukas Karrer and discussed the history of the island and her father’s act of courage. He asked her what she thought of her father’s heroic actions, but she brushed off any idea that he was a hero, since she saw it as “the right thing to do” and expected no less from him. Besides Rhodes and Zakynthos, Vic Alhadeff also visited Thessaloniki where he met with popular mayor Ioannis Boutaris, another fierce advocate of human rights who famously marched through the streets wearing the “yellow star” to protest the entry of Golden Dawn into Greek Parliament. He visited the Jewish Museum and connected with the members of the Jewish community. Tragedy has shown us what humanity is capable of when working together, and Alhadeff is optimistic about the future of our ancestral homes and of Greek – Israeli relations. He referenced the leaps and bounds that both countries have made recently which includes pledging deeper military ties, joint energy exploration in the Mediterranean and tourism. 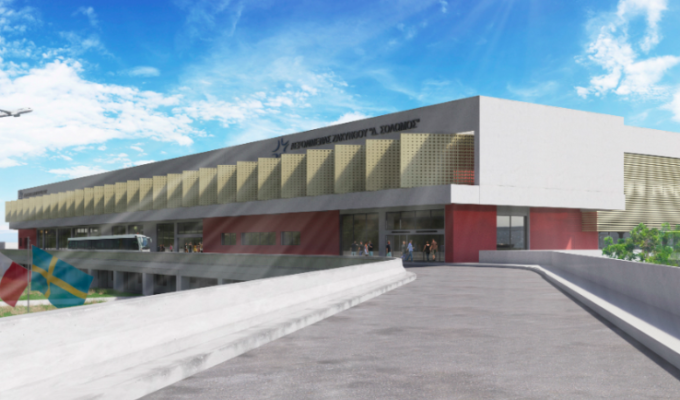 According to provisional data from Ben Gurion airport and Greek airports, air arrivals to Greece from Israel increased by 15 per cent to over half a million visitors this year. Tourism in particular is an excellent “bridge building” exercise and if statistics are anything to go by, the future is indeed looking optimistic. 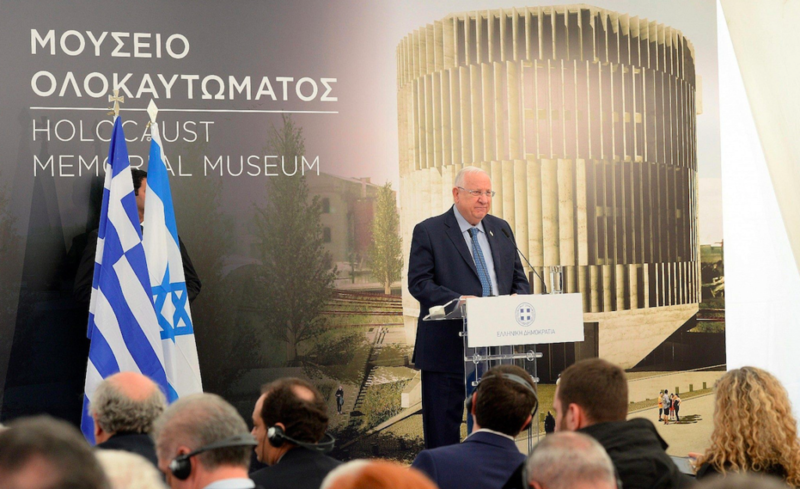 Earlier this year Israeli President Reuven Rivlin joined Greek Prime Minister Alexis Tsipras and lay the foundation stone for a new Holocaust Museum in the city of Thessaloniki which lost more than 90 per cent of its Jewish community during the Nazi Occupation. During the ceremony, both leaders planted two olive trees on the site of the future museum from where the city’s 54,000 Jews transported from to the death camps. “The Holocaust is not only a Jewish issue, it is an international issue that touches every nation and people. 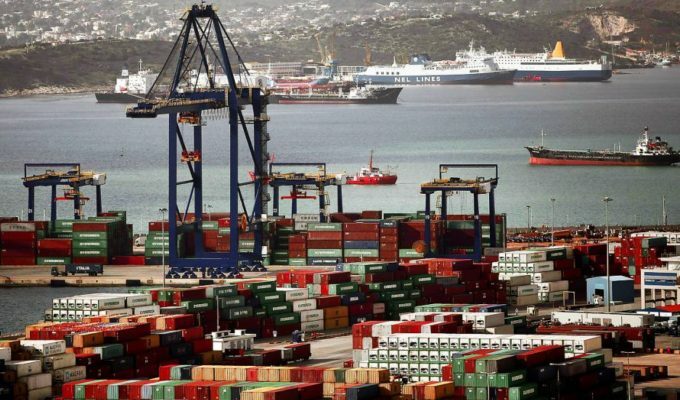 Here too, in Greece, it is a national issue,” said at the time the Israeli President. Back in Australia where he migrated to in 1986 from South Africa, few years before the Apartheid regime unravelled, Alhadeff assumed many important roles, including chairperson of the NSW Community Relations Commission. The role gave him an opportunity to contribute to race relations and enhance our multicultural society and avoid some of the tragedies of the Old World. But the Old World, as he discovered, can be imported into the New World by the very ethnic communities that fled from it. A number of religious leaders called on him to resign from the position because they felt he had compromised his role by asserting Israel’s right to defend itself against Hamas. Hopefully in the case of Australia, when it finally cuts the umbilical cord with Britain and becomes a mature republic, perhaps then, all ethnic communities will identify more with the country and all feel Australian. Australian enough not to use ancestral conflicts as political leverage in the new country, but more as topics for civil debate in the pursuit of peace and a better understanding of each other. But what is it about the nature of ‘immigrants’ that makes them stand out? 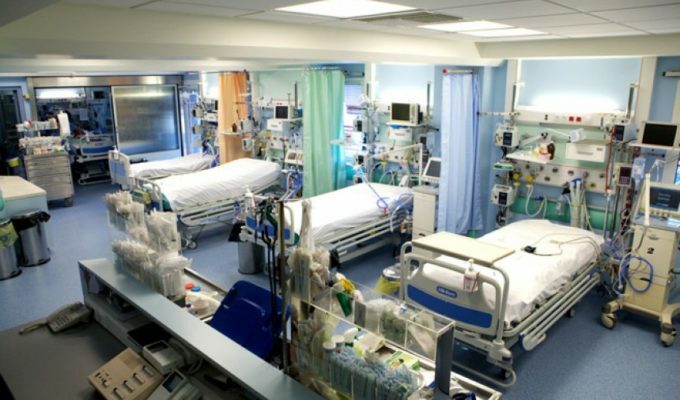 Take our communities: starved, hunted, occupied, oppressed and extremely small in numbers, yet have contributed successfully to every field of human endeavour in the new worlds and societies they entered. -Studied at the University of Cape Town and at Rhodes University in Grahamstown, South Africa. -Was Chief Sub-Editor of The Cape Times in Cape Town. -Wrote two books on South African history. -Lived in Israel for two years, where he edited two magazines. -Immigrated to Australia in 1986. -Was appointed Editor of the Australian Jewish News. 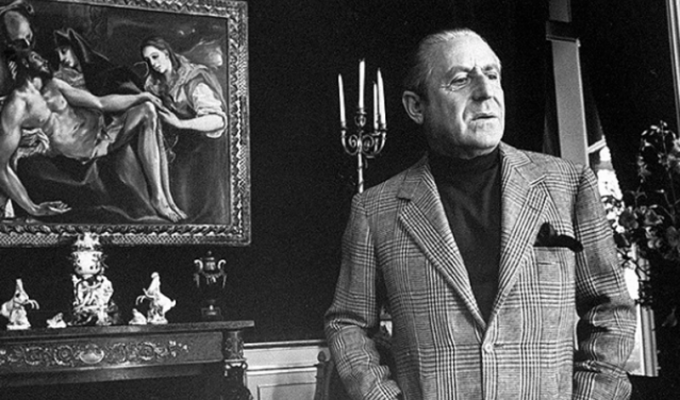 Was sent to Moscow three times to report on the persecution of Soviet Jews and reported from Israel during the Gulf war and on the assassination of Prime Minister Yitzhak Rabin. -Became an outspoken champion on human rights issues. Was appointed Chairman of Multicultural NSW and a judge of the NSW Human Rights Award. -Was appointed Chief Executive of the NSW Jewish Board of Deputies, which represents the NSW Jewish community to government, media and other communities. -Led the Keep NSW Safe campaign which lobbied State Government to legislate against incitement to violence on the basis of race, religion and gender. The law was passed in June 2018 after a three-year campaign, of which the Hellenic community was part.